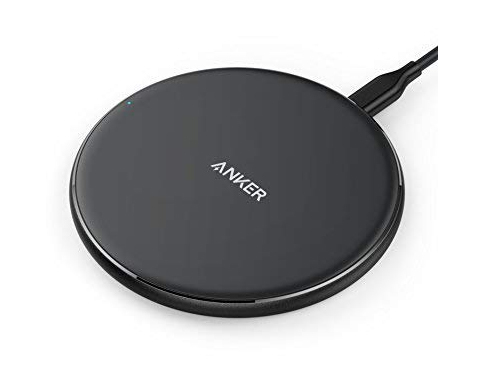 Anker PowerPort Wireless 5 Pad Embrace the future of charging technology-wireless. Let your device enjoy an optimized charge by simply setting it down. Charge 10% faster , and stay away from the charger for longer. Charging has never been so simple. The PowerPort Wireless series was designed to deliver the fastest wireless charge possible and simplify charging into just setting down your phone. One-step charging – forget about fumbling with phone cases. Just place your device on PowerPort Wireless and let the power flow. Align your device in the center for high-speed charging.